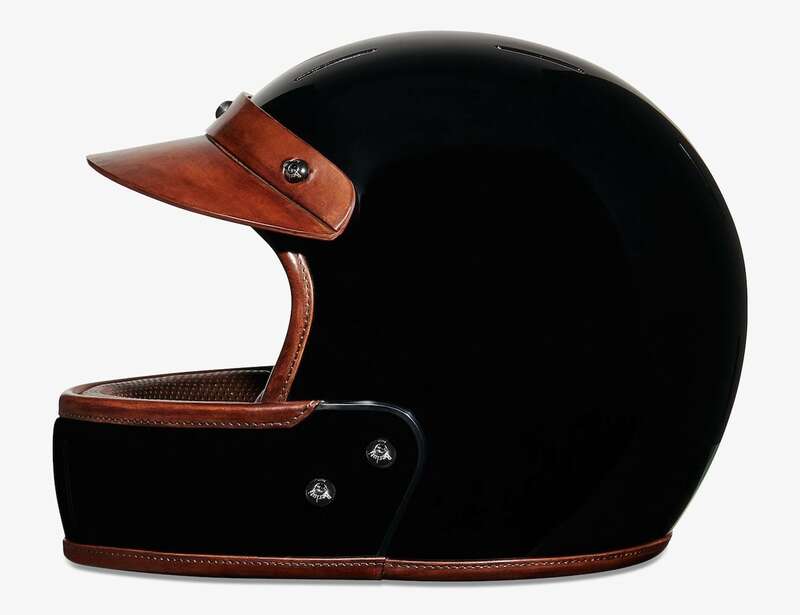 Wear a luxury helmet to protect your head with the Berluti Leather Motorcycle Helmet, featuring a modular design. 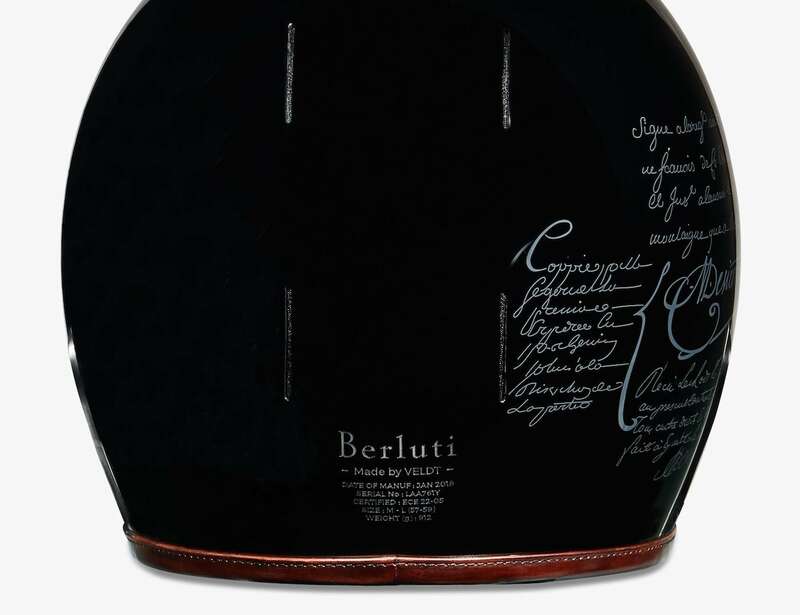 Wear a luxury helmet to protect your head with the Berluti Leather Motorcycle Helmet. 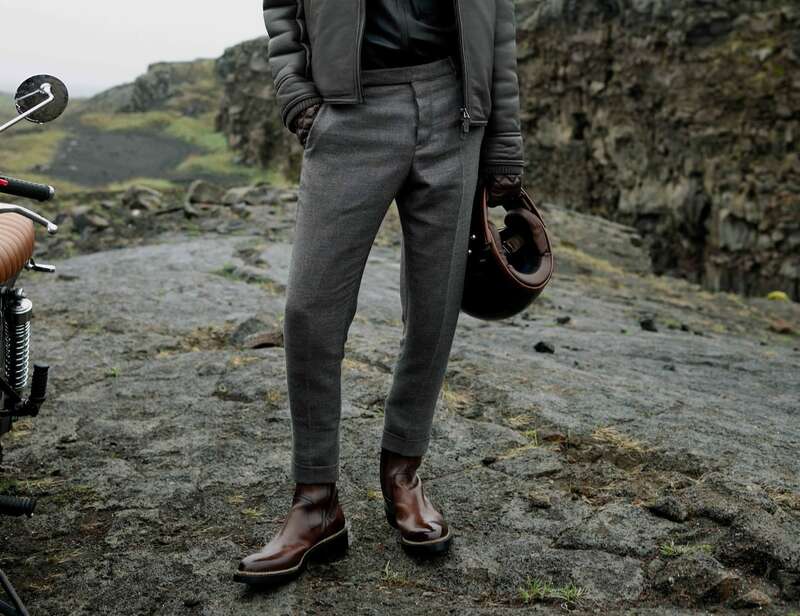 This protective gear is a collaboration between French luxury brand Berluti and Veldt. 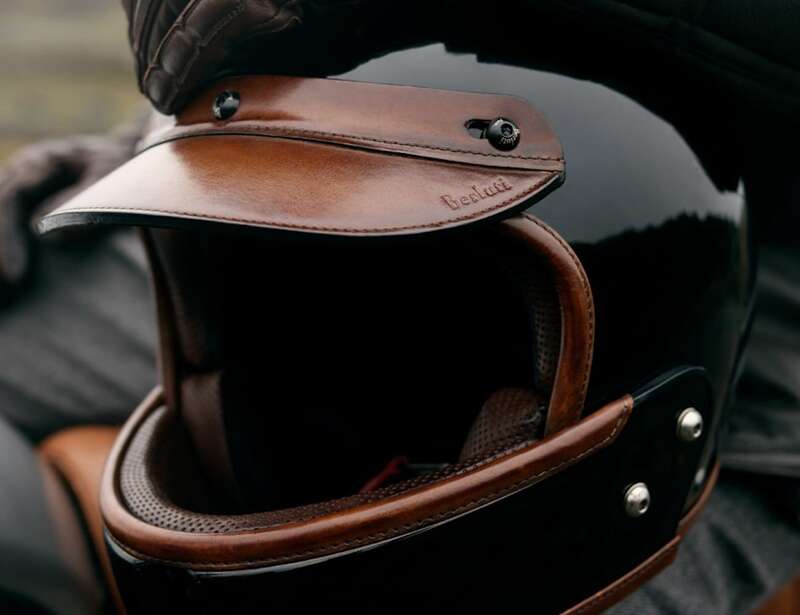 Featuring a modular design, the Berluti helmet provides a removable chin guard that turns it into a full face helmet. 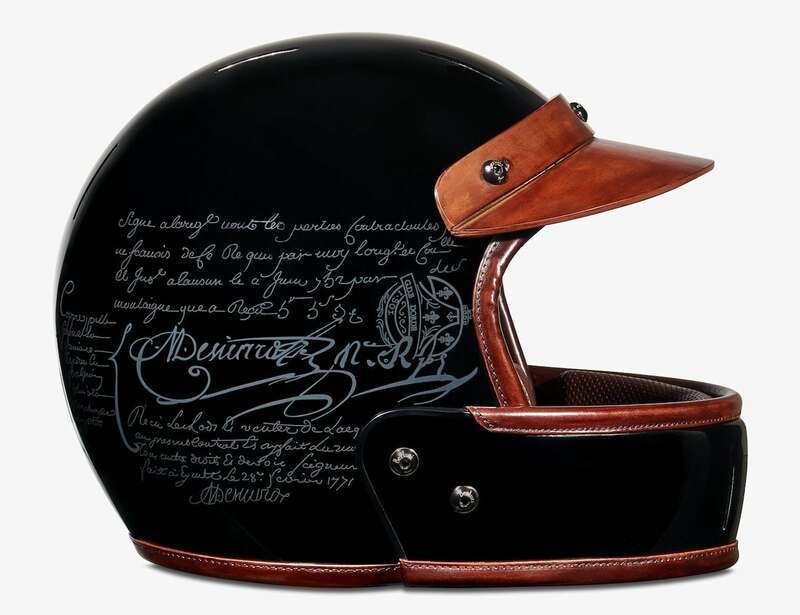 It also has a carbon fiber shell that is made in Japan along with a Scritto graphic pattern. 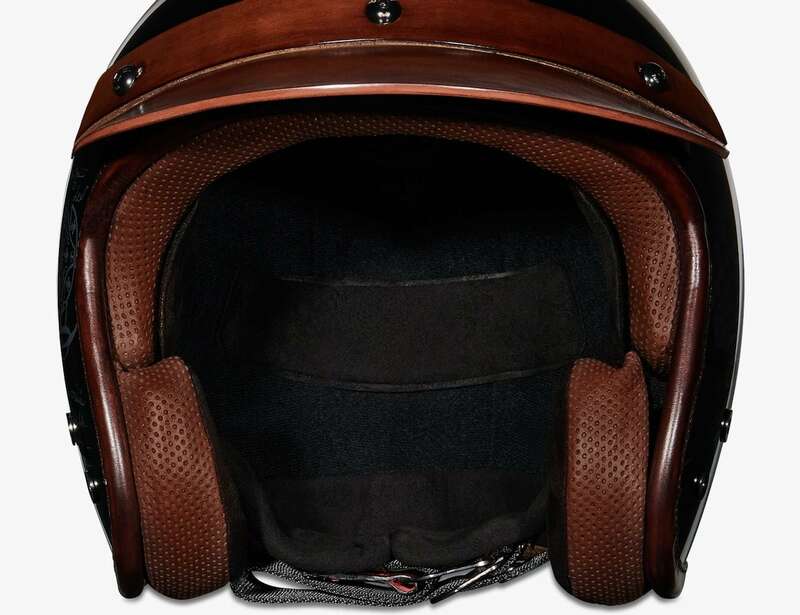 Additionally, the helmet has a glossy black finish and Venezia-leather accents all over it. 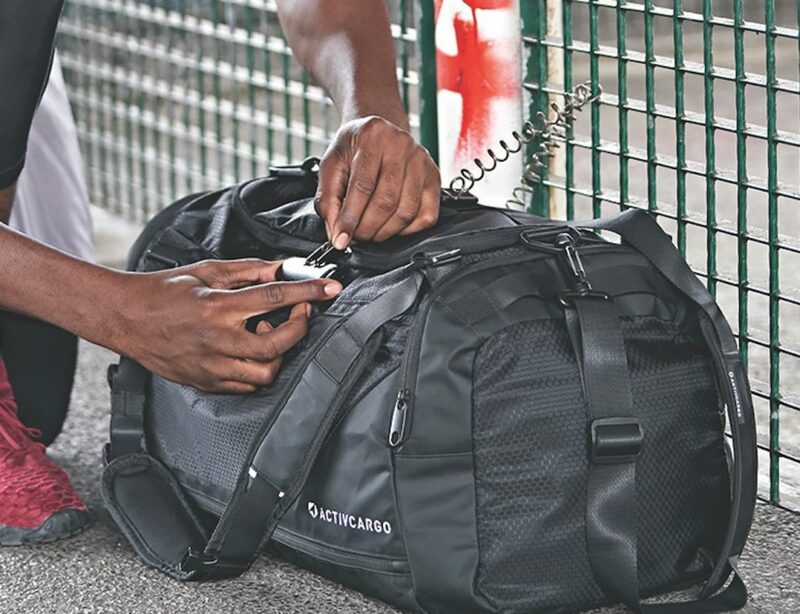 It also uses black galvanized metal hardware and Coolmax padding for comfort. 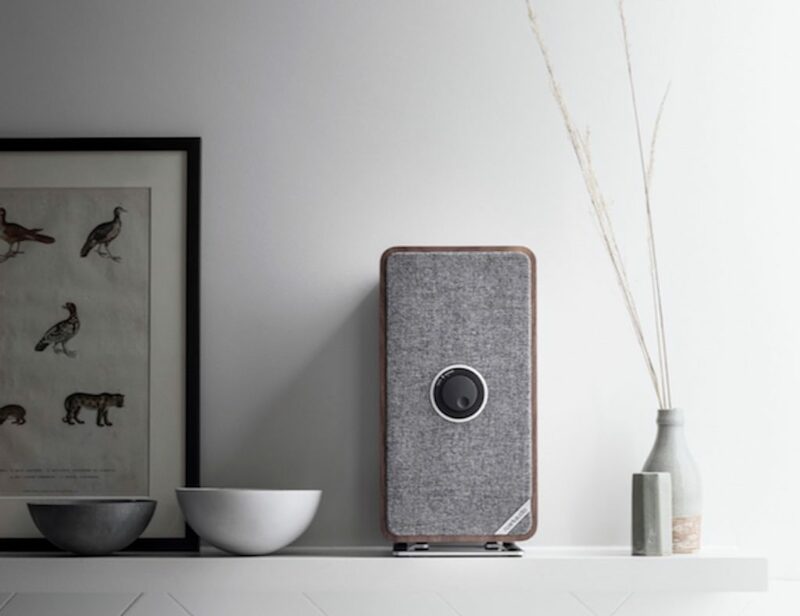 Similarly, you can easily remove the padding to clean the inside whenever you need to. 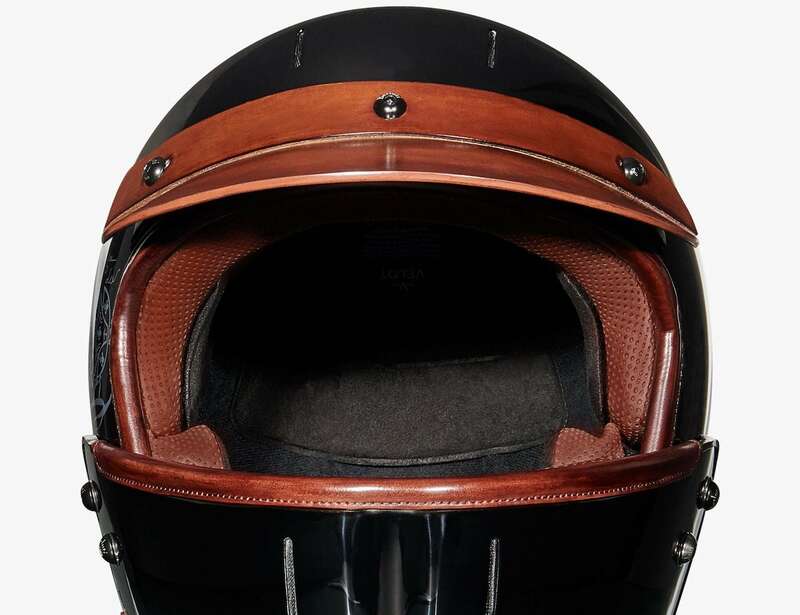 As part of the Fall/Winter 2018 Runway Collection, the Berluti motorcycle helmet offers style, safety, and comfort in one.